Buyers will continue to enjoy a housing market with low prices that provide such great value. Homes in this price range are more affordable than ever. We have found that more buyers are able to purchase a home rather than rent. Sellers are smart to put their homes on the market now as inventory is down a bit from last year. Giving buyers less of a choice highlights your home. 186 homes sold in Montgomery during 2015. This is the year to sell your home. Average sales price was $187,785 spending approximately 137 Days on Market. 16 Homes were new construction ranging from $260,000 to $470,000. the absorption rate for the Montgomery as of December 31, 2015 is at 10.58 months of inventory. Four years of average sale prices in Montgomery shows a trend. Pricing is not going up but sales are happening. We provide a great deal of value to the Orange County NY Housing market. Buyers are looking every day to see what is new, exciting and available on the market. Interest rates still work but as we see a the trend of rates go higher the values will decrease. Buying power matters when deciding what home to buy. Base your purchase of price of the home, interest rates, taxes and maintenance. 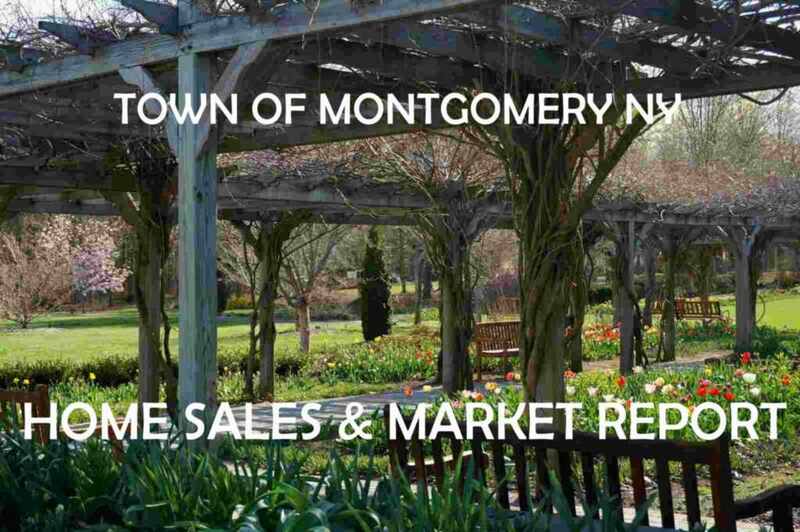 All the statistics on Montgomery NY home sales are of both the Town and Village of Montgomery NY. A community in Orange County NY, Montgomery is a great commuter location. Only 63 miles north of NYC. Monticello NY is only 29 miles away. Our location near 17K and I87 provides for an easy commute. If you are looking to find a home in Orange County NY, consider Montgomery with its rolling meadows and a variety of homes. We are a very affordable place to call home. If you are looking to sell your Montgomery NY home call for a FREE Comparative Market Analysis today. This advertisement does not suggest that the broker has a listing in this property or properties or that any property is currently available. page one of HGMLS active listings for Montgomery NY. What Homes SOLD in Montgomery NY 2015? Statistics represent single family homes for sale in Montgomery NY (source HGAR ). Information is deemed reliable, but not guaranteed.